From the beginning, a year ago almost to the day, the arrest of then-mayor of Sofia’s Mladost district, Dessislava Ivancheva, and her deputy Bilyana Petrova, looked suspicious to say the least. The Ivancheva, an independent, who won the election against the runner-up candidate from GERB, and Petrova quickly gained popularity for working against the over expansion and development in Mladost: one of the most developed districts of Sofia. Last April the two were ‘caught’ with 70’000-euro down payment bribe money provided by the real estate developers Alexander Vaklin. The prosecutors claimed Ivancheva had been refusing to issue a development permit unless Vaklin paid a total of 250’000 euro. The arrest itself took 7 hours: Ivancheva was handcuffed throughout this time at a busy intersection in the city center, surrounded by policemen, prosecutors, representatives of the Anticorruption Commission, eventually – reporters and so on. The two women spent the almost unprecedented 9 months in jail during the trial proceedings. Even though the judge in the case decided to let them go under house arrest after the witnesses’ testimonies were collected, the decision was canceled twice by the appeals court and almost reverted for a third time. Ultimately Petrova and Ivancheva were transferred to house arrest around Christmas; the measure holds to this day. The suspicions that the whole operation and the case itself is no more than an elaborate effort to remove Ivancheva and Petrova from office, punish them and make it clear for anyone thinking about crossing development interests, especially in Sofia, never subsided. Especially given the over-the top ‘security’ measures against the two women: during the first trial hearings they stood inside a sound-proof glass cube: a security precaution, which is rarely if ever used and which is meant for extremely dangerous persons, who pose real physical threat to those around them. Whenever the two were taken to the hospital for their deteriorating health, they were cuffed – again – as extremely dangerous criminals: across the hands and ankles, and with security belts around their waists. There was obvious and deliberate pressure – both psychological and physical – imposed against the two women, and bluntly disproportionate to the crime they were accused of and unprecedented in the Bulgarian courts practice in similar cases, as well as in cases for much severer crimes, including victim crimes. While the state imposed as much force upon Ivancheva and Petrova while under custody, the prosecutors’ case grew rapidly thinner and thinner. According to the prosecutors, Ivancheva and Petrova told Petko Dyulgerov – the third person accused in the case – to ask for the bribe on their behalf; to be the middle man. It should be noted that Ivancheva and Petrova maintain full innocence from the beginning and claim precisely Dyulgerov is the one who set them up. The prosecutors and officials from the Anticorruption Commission went into this trial bragging about their case being foolproof, the evidence abundant and sound. But as the the trial progressed, the evidence grew thin, as did the witnesses’ testimonies: first Vaklin testified that he had never spoken to Ivancheva nor Petrova directly about a bribe, and that all his information came from Dyulgerov. Then virtually all witnesses failed to provide a testimony connecting any of the two with the bribe. Then a key piece of evidence: some writing in Ivancheva’s dairy turned out to be written by someone else: the handwriting was not Ivancheva’s. And to top it all off: this week the key-est witness of them all, Petko Dyulgerov himself, withdrew his testimony, in which he claims Ivancheva and Petrova asked for a the money at all. Why he made the testimony in the first place? Dylgerov says he provided it under pressure from officials from the Anticorruption Commission. “I signed [the record from the interrogation with Anticorruption Commission officials] but I do not stand by my testimony because it was given under pressure”, Dyulgerov told the court and went on to explain how both officials from the commission and prosecutors had directed him to give “the correct testimony” and that he was questioned over two hours without his attorney present. “I categorically deny that the idea we extort [anyone] for our personal gain ever crossed our minds”, he said. Dyulgerov’s testimony was the foundation of the prosecutors’ case, which the deputy chief prosecutor, Ivan Geshev once called “a prosecutor’s dream”. It seems today that its dreaminess is only as far as it seems to be more wishfull thinking that being based in reality and facts. Dyulgerov’s retraction and his pointing to the Anticorruption Commission as the reason to falsify he testimony comes in at critical time for the commission: its head and deputy are both key figures in the so-called ApartmentGate scandal and were discovered to have falsified their tax returns. The Anticorruption Commission, along with the special prosecution and the Prosecutor’s Office in general are chiefly repressive tools, which the powerful of the day use against inconvenient persons, groups and companies. This is easily determined by looking at their portfolio: they attack people from certain groups, and protect others; they don’t feel the need to cover up the lack of procedure. And we have finally stumbled onto an interesting time: the ApartmentGate scandal discovered how key GERB operatives benefit greatly from their position in very definite terms. It expanded to include the head of the very institution, tasked with combating such practices. And all the while, these highest-ranking officials in this institution, and prosecutors alike, are not only tangled in conflict of interests, but actually spend most their time and the institutions’ recourses to terrorize whomever they wish. This whole repressive structure might be finally tumbling, and that is perfect news: at least we know it isn’t impenetrable. But something very important must not be overlooked: if indeed the Anticorruption Commission pressured Dyulgerov to lie, this is not just a single act of abuse of power: it is a whole and elaborate conspiracy. It is far from these prosecutors and commission officials giving their case an illegitimate boost forward. Because it is not merely a boost: it is the case itself. Remember, the case is practically based on Dyulgerov’s testimony. And if he lied under the direction of the commission, the only people who will be left to have ever heard of Ivancheva and Petrova asking for a bribe at the time of the arrest were exclusively prosecutors, officials from the commission and maybe Vaklin, who provided the money for the bribe. Not a single person outside the circle of the very people, conducting the indictment. And just as Tsvetanov should be investigated (although nobody could at the moment) for illegitimate lobbying, abuse of power and corruption, tried and – if convicted, punished accordingly, so should the individuals who conducted the Ivancheva-Petrova case. This will be a milestone, indeed. Because frankly, it is easy and risk-free to be incredibly corrupt and to abuse power to the point of forgetting abuse of power is a thing at all, if the only ‘grave punishment’ you might face (and, let’s be honest, it’s a big might) is to resign your current public post. No one has ever faced real consequences for abuse, misuse of mistrust of public office, as an individual in Bulgaria. The state gets sued on a monthly basis in international courts for various violations (most notably in the International Court for Human Rights; Ivancheva and Petrova also filed suits against Bulgaria for their treatment over the past year in this case; or in different arbitrary courts for large energy projects; in addition, the state gets fined regularly for not fulfilling a number of EU obligations). And the answer to why this is a constant and no one seems to care is that they don’t. The key here is that the taxpayers’ money is always there to pay the price and after that, the case is closed. Officials are increasingly disconcerted with not doing their jobs, not implementing policies, which the EU requires, or indeed with violating rights or braking the law. Because the individuals who are responsible never bare the responsibility. Instead, the state gets sued and fined, the payments come out of the budget and all is well. They even get to keep their bribe money. Or bribe apartments, as it were. After PM Boyko Borissov’s Number-Two, Tsvetan Tsvetanov was made to resign his seat in Parliament along with his chairmanship of GERB’s parliamentary group amid the cheap apartments scandal, Tsvetanov tried to return to Parliament as an external consultant. Three weeks ago, Svobodna Evropa (Free Europe) broke the story that Tsvetanov bought a luxurious apartment from the infamous real estate development company Artex for a fourth of the market price; coincidently, Tsvetanov tabled some key amendments, of which Artex benefited greatly; in addition, they apparently received some much needed political and institutional protection for advancing their most ambitious project: a controversial 30+ story building in Sofia’s Lozenets neighborhood. Various key institutions suddenly shifted their positions as to the legality of this development project since the story was uncovered, and now the project has been discontinued. Following the almost unprecedented public backlash (the story develops constantly with more and more key government and/or GERB officials being reviled as having struck impossibly favorable real estate deals every day) Tsvetanov ultimately resigned his parliamentary posts, but kept his (top) positions within the party. But it seems Tsvetanov decided he couldn’t stay away from Parliament. Ten days after his resignation he appeared in the official registry of parliamentary external consultants. 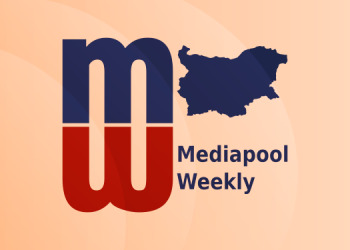 GERB MPs told Mediapool this was purely for convenience sake and that as deputy chairman of the party, he would need easy access to Parliament. It seems, however, that this might have not been consulted with Borissov, or so he claims. Otherwise, Borissov decided later it was a bad idea. Regardless of the reason, Borissov criticized Tsvetanov publicly, and declared explicitly that he does not agree with his colleague’s decision. “I would call this [act] foolish. I don’t know why he needs this. You can’t leave and then raise such an issue, which jeopardizes the legitimacy of the decision. He cannot receive such a grave punishment, to leave Parliament, the chair of the parliamentary group […] and [with this act] to cast doubt that the decision was [just for show]. It is plainly amateurish. He is so convinced of his innocence that he still is not aware of the situation he’s put himself into”, the PM said. Later Tsvetanov wrote on Facebook that he will request he be removed from the external consultants list. In his Facebook post he explains in length what MPs told Mediapool: that as deputy chairman he will have numerous meetings in Parliament and being in the list makes for easier access. Meanwhile, the other prominent figure in the apartment scandal, which became widely known as ApartmentGate, Plamen Georgiev, who ironically chairs the Anticorruption Commission, is on leave but for now is likely to keep his post. The chair of the Anticorruption Commission is appointed by (and removed by) Parliament. 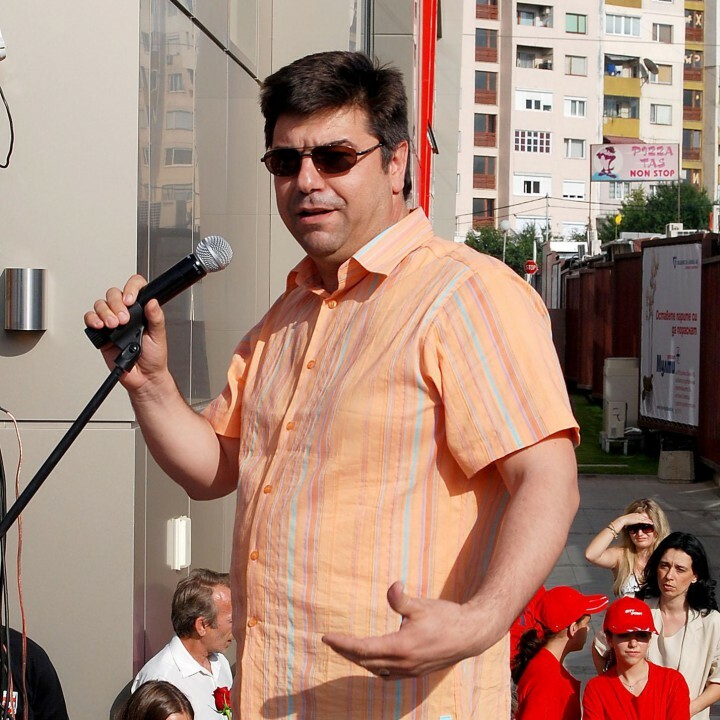 The largest parliamentary opposition, the Bulgarian Socialist Party (who are currently boycotting Parliament) put forward a motion to remove Georgiev from office given the revelations about his apartment and errors in his tax returns are more than sufficient to make him a subject of a probe by the very institution he chairs. But Georgiev obviously has solid political backing in Parliament: MPs from GERB, the coalition partner, the United Patriots, along with the unofficial partners of GERB in Parliament, VOLYA and the Movement for Rights and Freedoms (DPS) have all said they would not back a motion to remove Georgiev and his deputy, Antin Slavchev – also implicated in the scandal. The motion was rejected on its first reading with no objections, as there was not a single MP from BSP to back their own proposal, due to their boycotting Parliament. Chief Prosecutor Sotir Tsatsarov is conducting an inquiry into Georgiev’s case at the moment, which was the official justification for his going on leave: not to interfere with Tsatsarov’s investigation. But given the chief prosecutor’s history of conducting the state’s prosecution with untinged bias towards the powerful of the day, one should not expect too much to come out of it, except if Georgiev could be sacrificed to demonstrate willingness to fight corruption. 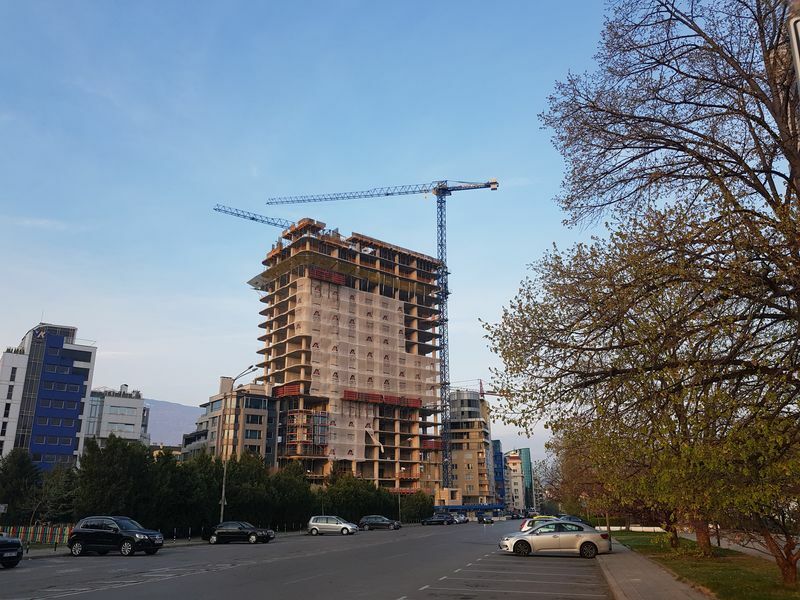 The decision to cease Artex’s most ambitious project for a 30+ story building in Sofia’s Lozenec will cost the company “tens of millions in damages”, the company claims in a letter to relevant state and municipal institutions, including to PM Boyko Borissov, Sofia mayor, Yordanka FDandakova and President Roumen Radev. The company furthermore insists that the order to stop the project was taken only to reflect PM Boyko Borissov’s wishes and attempt to paint himself as the sole keeper of the public interest. While that may be true, it should be noted that Artex apparently received some much-needed government and institutional protection in order to carry on with the development project, as their construction permit had expired back in 2017. Artex maintains the position that its permit is valid through 2020, but the argument for this is very week from a legal standpoint. Amid the scandal known as ApartmentGate, the relevant institutions flipped their position on the legality of the project, and admitted the permit had expired, but they all claimed the opposite before the story of exclusive deals for apartments between Artex and high-ranking GERB figures surfaced. On April 8 the order for the final discontinuation of the project was issued by the National Construction Control and will come into force on April 15. Artex said it will appeal the decision. The Consultative Council for National Security (CCNS), which is a consultative body to the President, made up of the ministers, whose ministries are within the national security framework plus a representative of each parliamentary group, convened on Monday to discuss the fight against corruption, and the Anticorruption Commission in particular. There wasn’t a representative of the Anticorruption Commission in the meeting. Last week the President announced he is no longer has confidence in the commission’s chair, Plamen Georgiev and that his deputy, Anton Slavchev will take his place at the meeting to present the commission’s progress. Just a day after this announcement, Slavchev was also revealed to have significant discrepancies between his property ownership and tax returns. 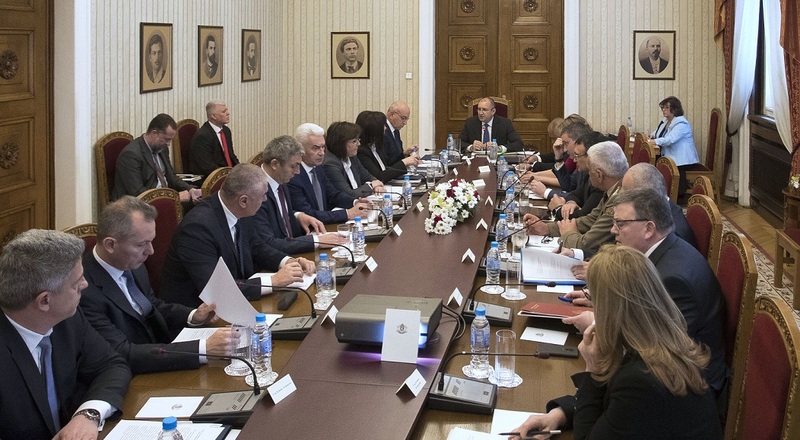 There were some inconsistencies between the versions of the meeting between PM Boyko Borissov and opposition leader Kornelia Ninova: she said the PM had rejected the proposal for the appointment of a special parliamentary committee to investigate ApartmentGate. But then Borissov told reports he was in favor of the idea. As a result, the office of the President canceled the invite and the commission’s annual report, which was earlier given to the President, was discussed without any of its authors. 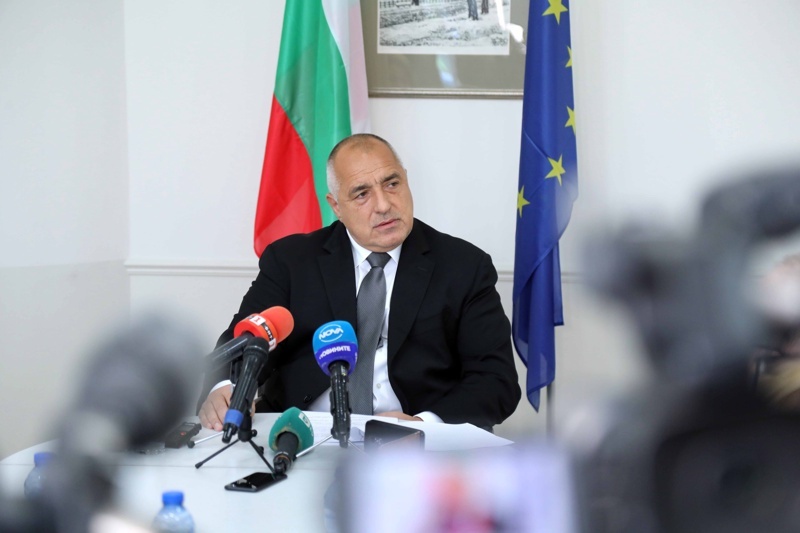 Borissov admitted to reporters that corruption is a problem in Bulgaria but quickly moved to subjects he feels more comfortable discussing like the budget surplus, the low debt, pensions and the like. He stressed that the notion that the media in Bulgaria is not free is a cliché, and ApartmentGate is proof. 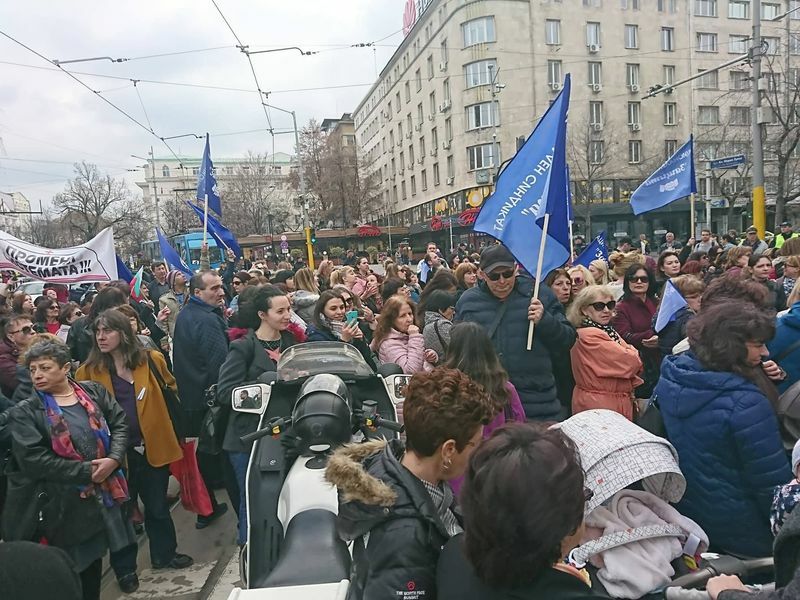 Bulgarian nurses have been protesting for over a month now nationwide, demanding salary increase. The government just allocated 50 million leva to ensure the starting salary of all nurses across the country is 950 leva but protesters demand 1120 leva. This is why the protest will carry on until the demands are met. The doctors’ union meanwhile decided to join in on the conversation and asked for salaries to be increased for all medical professionals. PM Boyko Borissov explained the additional funds and the salary increase with the overall good economic environment and to motivate nurses working in hospitals in small towns, and tried not to tie the decision directly to the protests. At the moment the average wages of nurses in any given hospital are under the minimum, recommended by the Ministry of Health, which is 900-950 leva. In reality nurses’ salaries average at about 760 leva in state hospitals and 670 leva in municipal ones. Apart from the straight-forward demand for more pay, the protesters also request the ministry develop a methodology for forming the amount any one nurse should receive, which should reflect the amount of work is put in, general workload etc. Minister of Health Kiril Ananiev announced his team have developed a methodology, which they would test in the following weeks, and finalize and present publicly before May 15. A nationwide protest of medical professionals is also planned for May 15. The nurses also demand better working conditions, changes to the law for the union organizations, which concern them, and for hospitals to be striped of the right to be trade organizations.